Recently, a friend who goes by the name of Captain White Belt submitted a video that I simply had to share. Like the rest of you, he too shall be reimbursed with a sincere thank you and the joy of having his name mentioned on the internet. In case you’ve been living under a rock lately, the man they call Tiger Woods is back on tour. He recently made quite a splash. As one who lives in the immediate Tampa Bay area, I can tell you firsthand that last weekend’s Valspar Championship was the talk of the town. A PGA Tour event that had previously taken a back seat to other Florida tournaments like Sawgrass and Bay Hill, Valspar had suddenly become all the rage. That’s because a Tiger was let out of his cage. Early in Thursday’s round, Tiger Woods had actually taken the lead. It was the first time in years that a man who is STILL the world’s most famous athlete (if he’s not, he’s pretty darn close) sat atop a PGA leaderboard. He was in contention for most of the weekend. Even down the stretch, talk of him winning vaulted PGA Tour television ratings back to where they once were when he dominated the sport. Spoiler alert, Tiger didn’t win the tournament. He finished one stroke off the lead. But that wasn’t before he gave us one of the more memorable golf shots in recent memory. On the 17th green, needing to finish birdie-birdie to tie Paul Casey who was resting uncomfortably in the clubhouse with a four-round score of ten-under par, Tiger Woods lined up for what had to be a fifty-foot putt. Many of you saw it on television or heard about it afterwards. For those of you who didn’t, here’s how Captain White Belt, who drove all the way out to Palm Harbor, saw it through his own eyes. And to think, he and I had nearly been thrown off this very golf course only a few weeks prior. That’s a story for another time. In the meantime, enjoy the view and kudos to Captain White Belt for sharing the video. Your check is in the mail. This entry was posted in Featured, Tee Box and tagged Captain White Belt, Paul Casey, PGA, Tiger Woods, Valspar, video by Chris Humpherys. Bookmark the permalink. 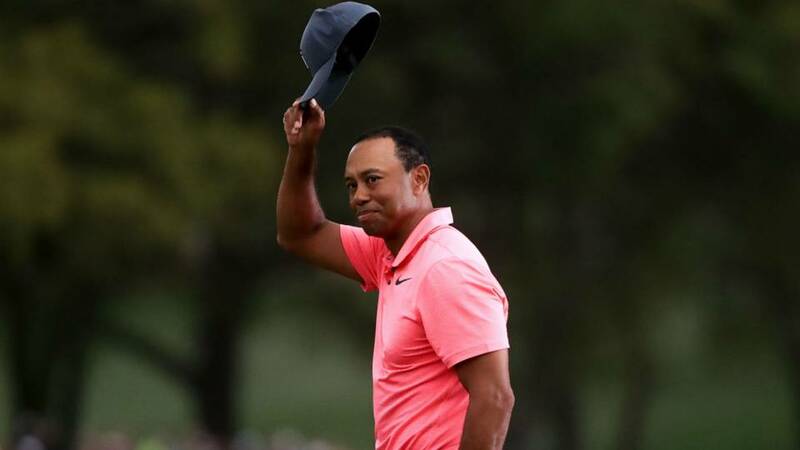 Great result for Tiger at the Valspar Championship but I don’t believe he poses a major threat at any of the upcoming tournaments including the first Major of the season ‘The Masters’ . No doubt Tiger is good for the PGA…………however, I’m not a believer in his return to prominence. He’s 42 and loaded up on Vicodin and other pain and anti-anxiety meds. His putting is suspect and his use of woods is shakey. Let’s see how he does at Bay Hill against some real competition. I wish him well but my $$ are on the opponents. As always, thx for the share. I know my wife was pissed because I spent both Sat & Sun sitting in front of the tube watching Golf; oh, I mean watching Tiger. I haven’t done that in a couple of years. Innisbrook is one of the more scenic spots in our area. I have been there a few times, through the rear entrance of course, but enjoyed my stay just the same. Glad to see Copperhead getting some love. Vegas seems to think differently. I hear he’s one of the favorites to win at Augusta. With him making the cut again at Bay Hill, that number is not likely to change. Of course, that number has more to do with public perception than anything else. They know the public will take a stab at wagering on Tiger. But after what I’ve seen from him lately, fifty-footer here, seventy-footer there, I can’t say I’d be all that surprised if he somehow managed to win one this year. There’s no way I would have said the same thing last year. The good thing about Tiger being back on tour is that at least he’ll skew futures numbers like he used to. When’s the last time any one of us tuned in to watch a tournament, even a major, that intently? I’m guessing the last time Tiger was in contention. He definitely did wonders for that tournament. They drew record crowds by far.